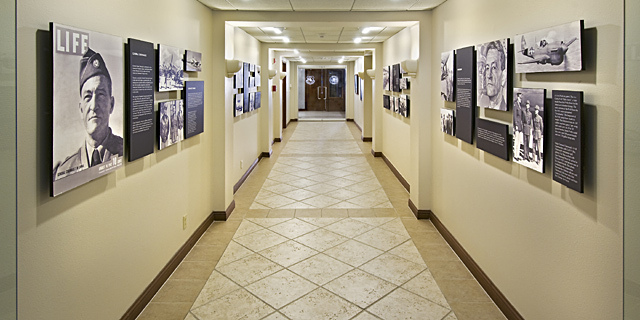 Use artwork and wall décor that is professionally framed, mounted and coordinated with the facility design and function; mount items with the focal point or image at approximately eye level. Do not paint murals or super-graphics onto interior surfaces; historical murals shall be preserved. Good-quality fire-retardant silk plants may be used; coordinate accessories such as planters with the design scheme. 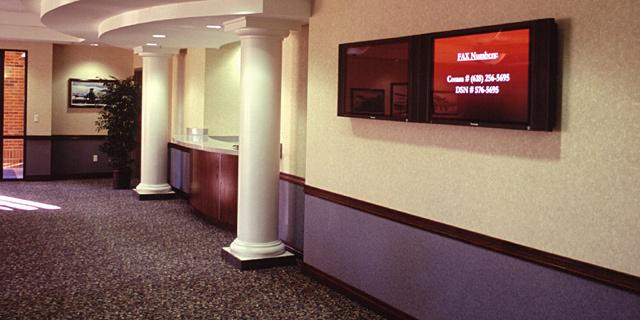 Provide bulletin boards for all temporary signs, notices and announcements; do not tape signs to walls or doors. All furnishings shall be commercial-grade, highly durable, soil-retardant, easily cleanable and not show excessive wear over their useful life. Materials and finishes shall serve the specific operational requirements of the space. 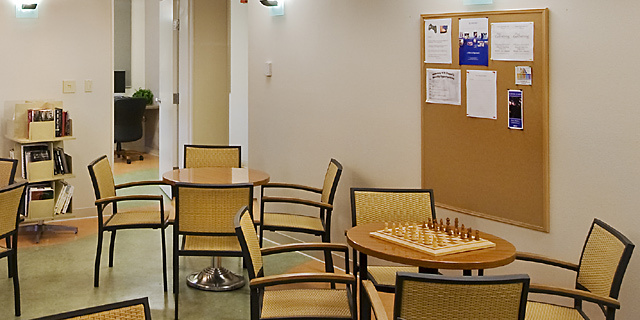 Commons areas shall be furnished consistently with other spaces in the facility. Coordinate with colors of interior design building finishes and materials in subdued patterns; avoid trendy designs. 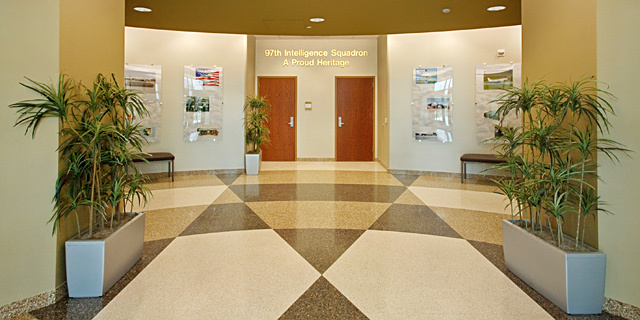 Wood trim may be used to upgrade supervisory spaces. 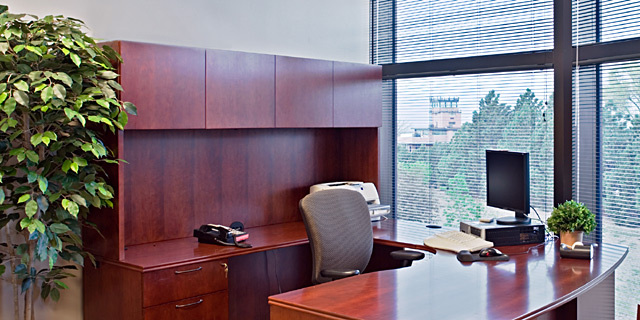 New furniture is preferred for new facilities; fully coordinate furniture throughout a facility. Select from Furniture Commodity Council Blanket Purchase Agreement (BPA) and limit the number of manufacturers. Ensure materials, color, style and functionality are appropriate for the Facility Group and to support the building’s operations. Furniture construction materials and finishes and upholstery should promote indoor environmental quality. Material specifications should include consideration of environmentally preferable products, products with recycled content, as well as low-emitting and biologically-based products.